Nonprofits are always struggling with getting noticed. One of the best ways to get noticed is through social media, but it’s also one of the hardest. So how do you get through the noise? 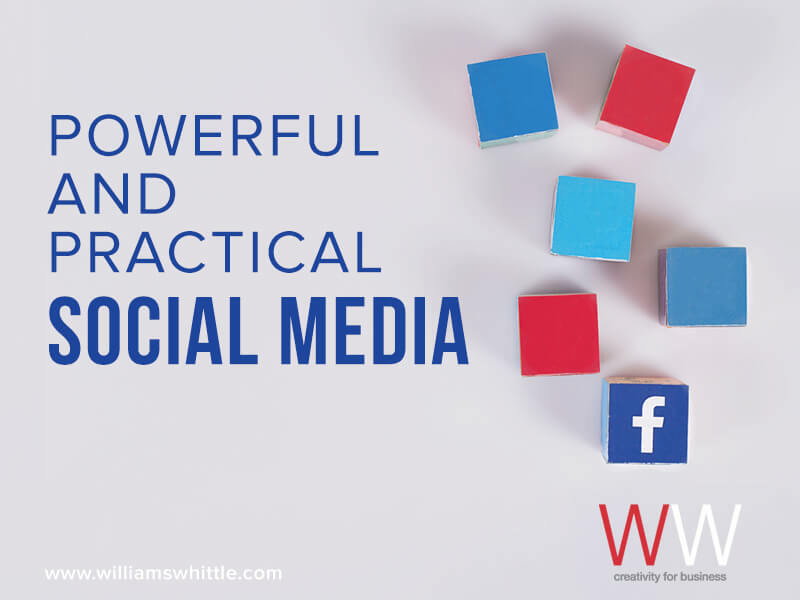 Our Powerful and Practical Social Media series helps you break through to get your message heard! What’s your purpose (on social)? Social media gets a lot of attention from marketers, but it should only be one channel within your larger communication strategy. Consider the Hub and Spoke model where your website is the hub with all your content, and your spokes share out the information and draw people in to your website, where they can take further action. Social media is just one of your spokes, and each channel is slightly different. Given that, consider how your “social media spoke” best supports the whole wheel. What audience is best for you to target on social media? What content do you have that’s the best fit for social? What tone fits that audience, your content, and your brand? Once you define those three things, your social media has a strategy. Next, it’s about how each channel can be optimized for that particular audience. Your content is the next piece of the puzzle. Once you have your social media goals laid out, it’s about determining what content will inspire your audience to help you achieve that goal. In terms of what types of content to post for the best engagement, think about (and write down) your typical follower. What are they interested in? What do they want to learn about or improve upon? Use that as a guide for your content. In general, Facebook is all about visuals. Links are great, but make sure that they have a great image (or a video) attached to them. The best content on Facebook will be useful, relevant, and visually appealing. Much of this content can start on your blog, where most of your content should live. One of my most successful Facebook posts was for one of my clients, Art with Heart. Art with Heart creates therapeutic workbooks for children and teens to help them work through trauma and grief. Given that, much of their Facebook presence was about creativity and healing. At the beginning of the year, I wrote a blog post about self-care projects to kick off 2016, and our Facebook audience loved it. It easily became one of our most popular posts, getting shared widely and getting lots of good engagement. It also drew many new followers to us, growing our audience and potential donor base. And that was because it was useful, relevant, and it had a great image up top. The most important thing to know about Facebook is that the odds are definitely NOT in your favor in terms of getting noticed. Facebook makes more money the more time people spend on Facebook, and people generally log into Facebook to see posts from their friends and family, not the pages they follow. Given that, Facebook wants to limit page content as much as possible. So, as a page, you are automatically at a disadvantage. Every social media blog will tell you there are certain times of day that will beat the Facebook algorithm that knocks down your content. You’ll see suggestions for 4-6AM or 2-3PM or weekends, and the hard truth is that no one really knows. The best time for your content is dictated by your followers, not the algorithm. So you want to know the best time for them, which you won’t be able to know without – you guessed it – A/B testing! The good news is that it’s free. The bad news is that it’s time consuming. The best way to do it is to spend one month posting at one time of day on the weekdays, and another on the weekends. Once you’ve set that standard, change the times. The important thing is to only test one variable at a time. It’s best to use time that’s far away from a major event or giving day, if possible. If it’s not possible, do your best to correct for that traffic that could skew your numbers. Have a post with high engagement? Pin it to the top of your page so people see an engaging post as soon as they visit your page. When you have a post with high engagement, you can see who liked it, and invite them to like your page as well, so they see your future posts. It is probably one of the most effective, yet underused, features on Facebook. Getting your Facebook page verified is an easy and useful step to help your engagement. It’s easy to do with a phone number or letter, though some nonprofits are required to send in their articles of incorporation. The Facebook algorithm will give preferential treatment to posts that were scheduled natively on Facebook, as opposed to a third-party client, such as Hootsuite or Tweetdeck. So if you are scheduling posts for later, make sure you do it on Facebook itself, as opposed to using a third-party client. When it comes to social media, it can seem daunting for some organizations. But with these smart tips, you’ll start to see Facebook help build successes for your nonprofit.